Superdry women's Alicia crew sweatshirt. 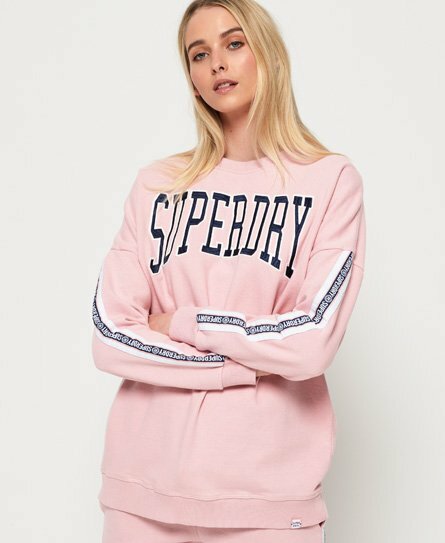 This sweatshirt features an embroidered Superdry logo across the chest, Superdry taping down each sleeve and a ribbed collar, cuffs and hem. Completed with a Superdry logo tab on the hem, this sweatshirt would look great paired with a pair of jeans for a casual look.